KOTION EACH G9000 Headset is suitable for iPhone 6 / 6 Plus, Samsung S5, S4, LG, Xiaomi, iPad, PC, laptop, tablet, etc. 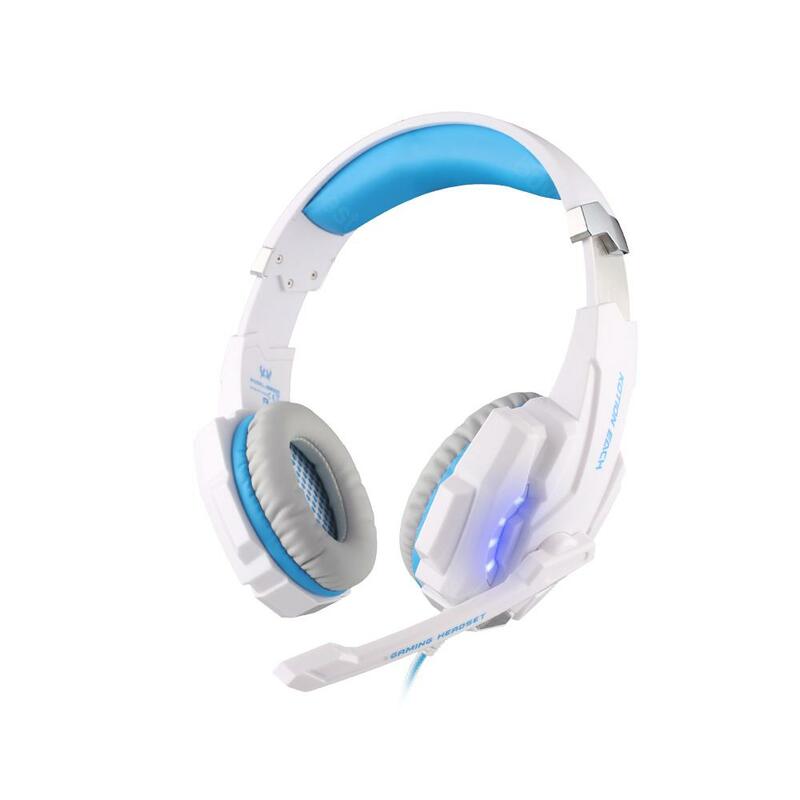 This KOTION EACH G9000 is a primary kind of gaming headset, which brings you vivid sound field, sound clarity, sound shock feeling, capable of various games. Its super soft Over-ear pads is more comfortable for long time wear, and it is a great headphone for game player! 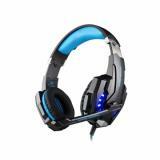 • High precision 40mm driver, bring you vivid sound field, sound clarity, sound shock feeling, capable of various games. • Splendid ambient noise isolation. • Earmuffs used with skin-friendly leather material, and super soft Over-ear pads that is more comfortable for long time wear. • Glaring LED lights are designed on the earcups, highlighting the atmosphere of the game. • Braided wire, durable tensile effectively reduce the external resistance; Velcro cable tie, prevent the line twining. • Exquisite craftsmanship and fashion appearance. • Professional gaming headset for your choice. I bought this headset to use with my laptop. Very money-worth gaming headset, with high quality, high sound clarity. It fits well and is comfortable to wear. I love it very much. It is perfectly suitable for my iPhone 6 and very good sound quality, I like it! My friend recommended this headset to me. This gaming headset is cool, I discard my old one without hesitation. Very good gaming headset. This headset is probably one of the best I ever owned in my life. The sound quality is amazing. I buy this headset mainly for gaming. The quality is worthy to trust with pure stereo sound. Not too tight. Still comfy even though putting on for two hours. The sound quality of this KOTION G9000 Headset is unbelievable. I can say that this is the best headset that I’ve ever used. I am satisfied with my headset & I would recommend it to anyone who wants a very high end gaming headset.